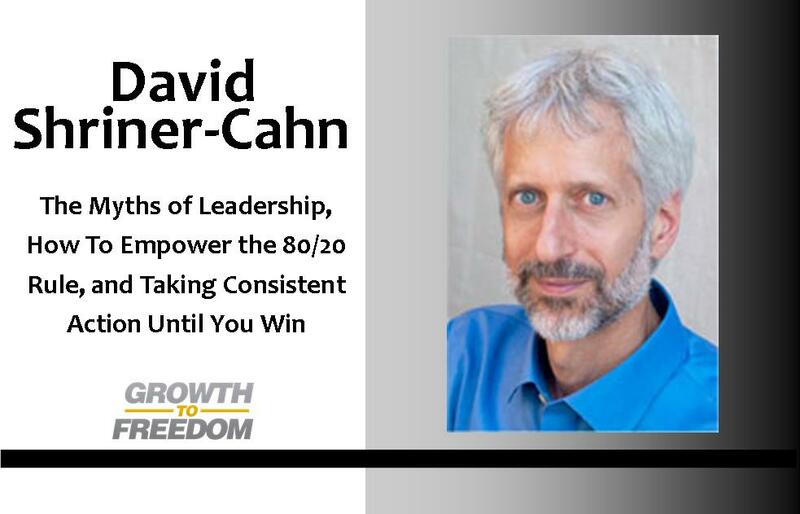 Today’s guest, David Shriner-Cahn, is an expert at helping entrepreneurs become better leaders, while smashing the plateaus that keep them stuck at their current level of success. On this episode of Growth to Freedom David and I discuss the most common myths around leadership and reveal the simple mindset shifts to create greater impact, contribution, and influence. On this episode David shares some of the foundational issues that he sees leaders missing, the way to empower the 80/20 rule in your organization, how to better say “no” to the less important things, and the role that gratitude plays in living a productive and healthy life.